Imagine you are a resident living in one of the seven Fuleni villages facing the prospect of waking up every morning for the next 32 years to earth shattering vibrations and breathing poisonous black dust that settles everywhere in the homestead where you and your family have lived for more than 60 years. The dust contaminates your water and poisons the leaves and grass that feed your cattle and goats making them ill and contributing to the mysterious deaths of almost half your family’s herd of cattle. To find clean water you have to walk 5kms or more past the open cast coal mine with giant dumper trucks, and noisy machines digging up the earth. Imagine all this is happening a mere 500m from your home, the distance set by Ibutho Coal for what they consider an acceptable distance for residents to live from an operational pit. Your house is cracked and leaking due to the explosions and vibrations from the mine and it is becoming a dangerous place to live in. Your appeals to the mine to pay for the repairs are turned down and instead you are blamed for the cracks and accused of building a poorly constructed house. This is what has been happening to the nearby Somkhele communities since 2008 and these are the very real threats that the Fuleni communities face if Ibutho Coal’s open cast mine on the boundary of the iMfolozi Wilderness Area goes ahead. Not only will the Fuleni mine affect the lives of 16,500 people but it will impact severely on the Hluhluwe-iMfolozi Park (HiP) and destroy this irreplaceable international treasure that many of us love and that draws thousands of local and foreign visitors to KZN and SA every year. Ibutho Coal is proposing to mine Anthracite in the Fuleni area, the home of the Mthethewa people, relatives of Shaka Zulu who spent his boyhood and early manhood living in the area with his uncle’s family almost 200 years ago. The link the Mthethwas have with the Fuleni area dates back further to several hundred years ago. Ocilwane, situated about 36 km north of KwaMbonambi, is in the middle of the proposed mining area and so will be most affected. The village comprises an estimated 243 households. Residents have been living in the area since the early sixties, when the government moved them to Fuleni from near Mpangeni to make way for the Owen Sithole agricultural college. The village of Ntuthunga 1 is situated about 34 km west of KwaMbonambi and lies in the southern part of the proposed mining area. The village comprises an estimated 314 households. The village of Ntuthunga 2, situated 36 km west of Kwambonambi and about 2 km north of Ntuthunga 1, has an estimated 255 households. The village of Novunula is situated 38 km north of KwaMbonambi. The village is bordered by HiP to the west and the Mfolozi River to the north. There are approximately 186 households in the village. People have been living in the Novunula area since before the early 19th century. The Fuyeni community is situated to the south of the mining footprint area about 23 km north-east of KwaMbonambi. The village constitutes approximately 267 households. The eMakhwezini community is situated to the south of the mining footprint area about 20 km north-east of KwaMbonambi. The village comprises approximately 1068 households. One of the biggest impacts the proposed mine will have on the Fuleni communities will be the forced removals of people whose homes fall within the mining footprint. The people living in Ocilwane village have already experienced the hardship and disruption of a forced removal when they had to move from Mpangeni about 60 years ago to make way for the Owen Sithole agricultural college. At the time the magistrate promised they would not be moved again, a promise they are determined must be honoured. In 2014, Ntuthunga residents had the distressing experience of having what were perceived to be demolition stickers stuck on their houses without any prior warning or explanation from Ibutho Coal. When the story appeared in the press, the stickers were removed – still without an explanation of the purpose of the stickers that had traumatised many home owners. 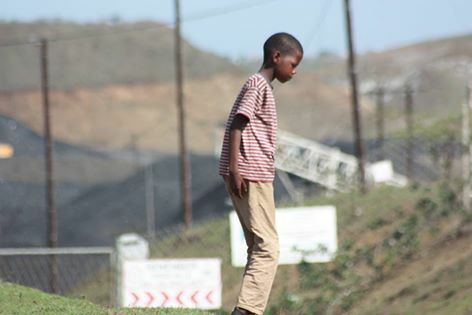 This incident demonstrates the mine’s insensitivity when it comes to engaging with the local Fuleni residents. To date no information has been provided by Ibutho Coal as to where it plans to move the people who will be displaced by the mine. The proposed establishment of the mine is already having a detrimental effect on the social fabric of the Fuleni communities. Factions have been created through the promotion and support of certain individuals and groups in favour of the mine. The neutrality of the traditional leadership is also in question and this is tearing the communities apart. A side effect of the mine will be the influx of migrant labour and an increase in crime and prostitution in a previously stable area. A common trend associated with mining developments in South Africa is an increase in the HIV infection rate in the surrounding population. Water – A critical impact will be the limited availability of water for the Fuleni residents, their livestock, communities downstream of the mine, and wildlife in HiP. At the height of the recent drought, the Mfolozi and Mvamanzi rivers were dry and many residents were restricted to 5 litres a day for all their requirements, which included drinking, cooking, washing themselves, their dishes and their clothes. At the nearby Somkhele mine, cattle often end up drinking from polluted ponds and processing dams, which could account for the mysterious deaths of cattle and the increase in livestock mortality in Somkhele, an area previously renowned for its excellent cattle farming potential. The EIA states there is no viable source of water for its operations yet the thirsty mine will demand the equivalent of 56 municipal swimming pools of water every day for mining operations and to process the anthracite. Dust – Open cast coal mining produces vast amounts of dust, both coaliferous and rock dust. Rock dust is produced through blasting, earthmoving operations and transport. The coal dust is blown into the surrounding villages and onto grazing lands. It ends up being breathed into lungs and ingested in water and food, and contributes to a range of illness, particularly respiratory diseases. Animals ingest dust that coats leaves and grass and also pollutes water supplies. Blasting – Open cast mining requires frequent blasting. This will impact on people in the form of noise, dust, flyrock and seismic shock waves. The communities at nearby Somkhele have had the walls of their homes crack due to blasting. It will also affect livestock and wildlife. Noise and Light pollution – The mine will be operating 24 hours, 7 days a week which will result in the communities being subject to a high degree of noise from vehicles and the mining operation. The mine will also be floodlit at night which is disorientating for people, animals and birds. The application by Ibhuto Coal has created deep divisions within the communities. The leadership largely supports the mining option whereas many community members are adamant they will not accept the mine. This is invariably the case after a visit to Somkhele and hearing firsthand how the promises of the mining companies do not materialise and the dire social and environmental impacts from an operating coal mine. A major grievance has been the poor public participation process and the lack of relevant information in Zulu that answers the concerns and queries posed by the Fuleni residents to the consultants that represent Ibhuto Coal. At a meeting in June 2015, a group of Fuleni residents met with the provincial Department of Economic Development, Tourism and Environmental Affairs (DEDTEA) and appealed to them to hold a workshop in the Fuleni community to explain the public participation process. At the meeting, DEDTEA agreed to a Public Participation Imbizo but, to date, this has still not happened. 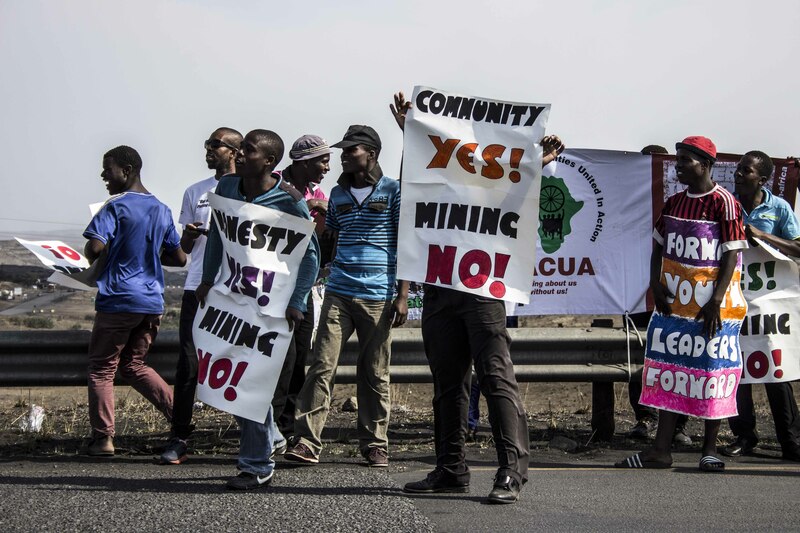 The community has produced a number of strong activists and a growing number of informed residents who are willing to advocate against the mine despite pressure from the pro-mining leadership within the Fuleni community. Community activists recently launched their own organisation, MCEJO (Mfolozi Community Environmental Justice Organisation). The Global Environmental Trust, Mining Affected Communities United in Action (MACUA), groundWork, WoMin and staff and students from the Centre for Civil Society (CCS) at the University of KwaZulu-Natal, Durban, support these community activists, providing information, legal advice, running advocacy and other training workshops. 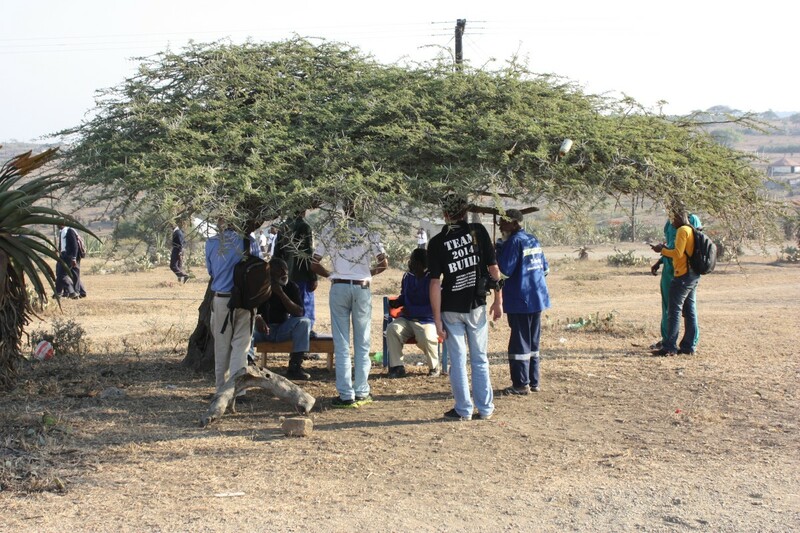 A number of visits have been organised to take Fuleni residents to Somkhele to meet the residents from Dubelenkhunzi, a village currently affected by the mine and expose them to the harsh reality of living next to a coal mine. Below is a video that was produced to document this exchange programme.